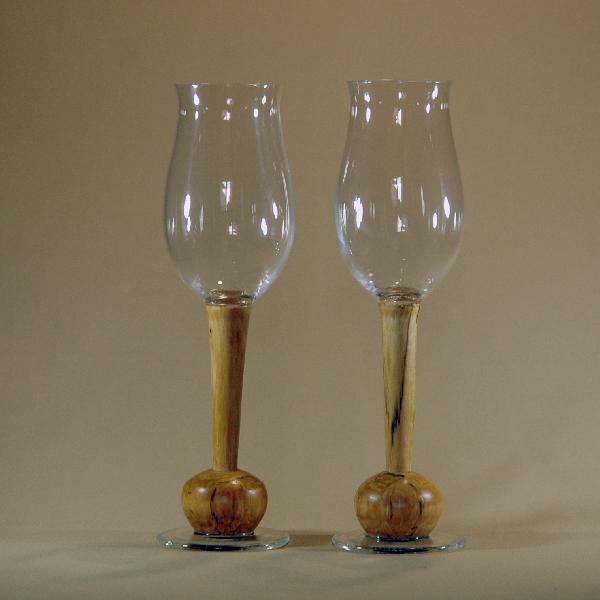 Elegant and original handmade wineglasses. The bases are carved from natural rowan tree, the 260 ml bowl is made of Bohemian glass. Looks great on any table at any celebration and makes a perfect wooden wedding gift.